The manifold air-pressure sensor determines the pressure in the manifold tube behind the throttle. 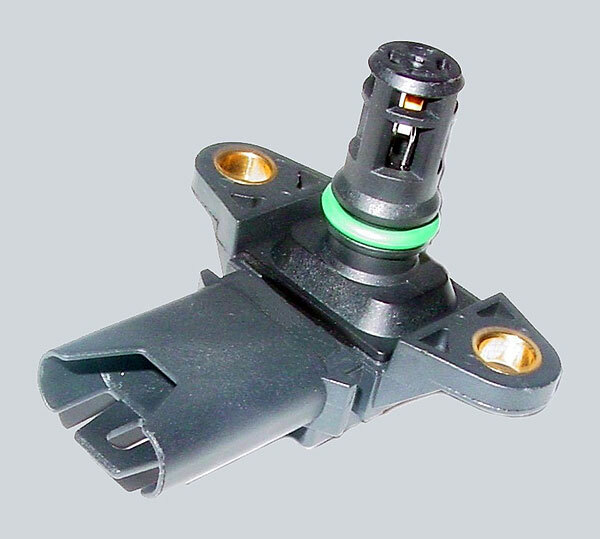 The aspirated air mass can be calculated from the signals of the engine speed sensor and of the intake-air temperature sensor. This pressure serves as a basis for the mixture preparation and ignition control. The temperature measurement (NTC) includes the influence of temperature towards the density of intake air, thus yielding the air mass. 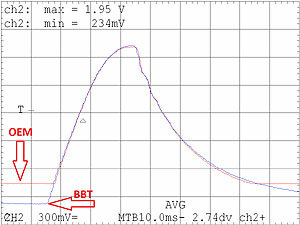 The comparison shows that the BBT output signal is matching the OEM signal. 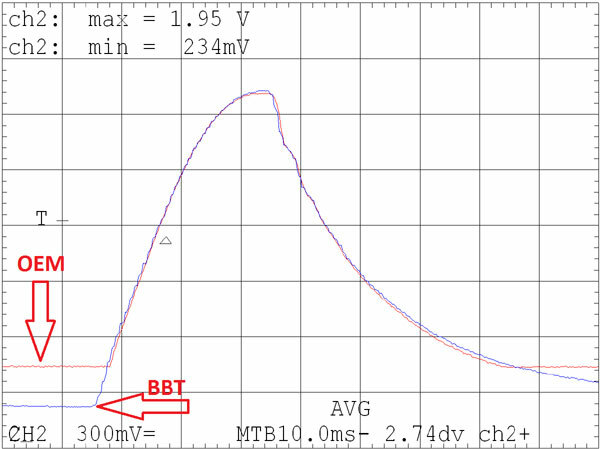 In addition the BBT sensor has a wider bandwidth.